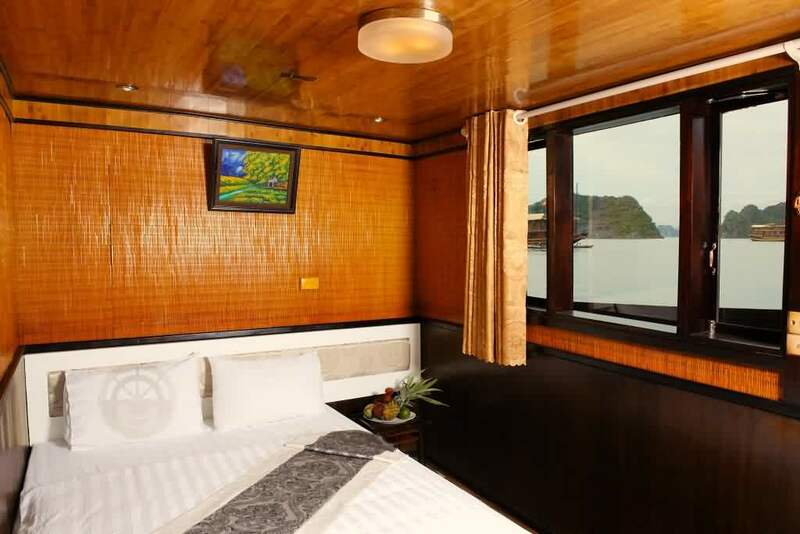 Bai Tu Long Junk is designed based on traditinal style of Chinese Junk in 14th century with 9 fully equipped, air-conditioned cabins, attached with private bathroom, hot water shower, a closet and night table. In each cabin, you enjoy the elegant design of the fine woodwork that is evident throughout. For your convenience, there are also 3 shared bathrooms onboard including on the dining deck. 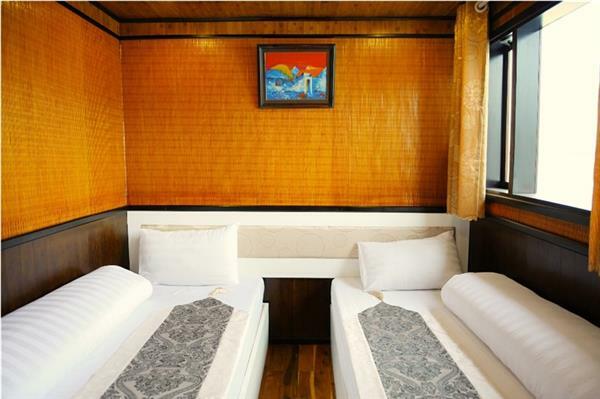 Bai Tu Long Junk is designed based on traditinal style of chinese Junk in 14th century with 9 fully equipped , air-conditioned cabins, attached with private bathroom, hot water shower, a closet and night table. In each cabin, you enjoy the elegant design of the fine woodwork that is evident throughout. For your convenience, there are also 3 shared bathrooms onboard including on the dining deck. Playground: 30m2. It is large enough for 20 peoples. Room (06 deluxe rooms and 03 Suite rooms). 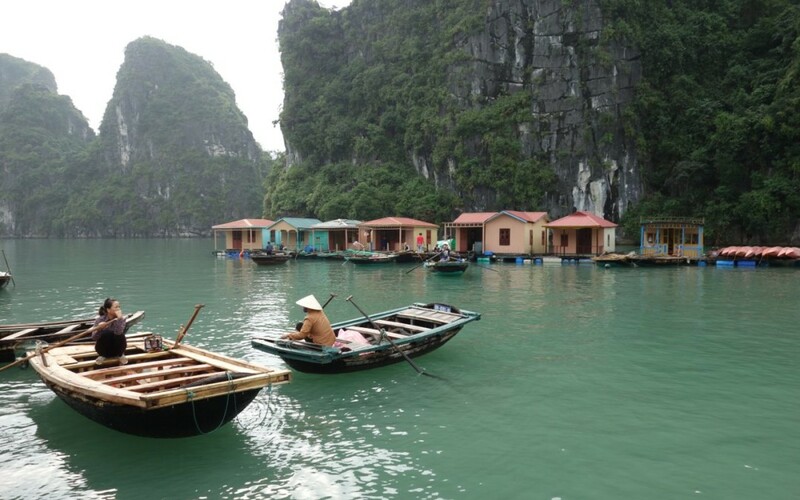 Day 1: Hanoi – Bai Tu Long Bay – Halong bay ( L, D). 07h45 – 08h00: Pick up from your hotel in Hanoi. Drive to Ha Long City through the green fields in the Red River Delta. 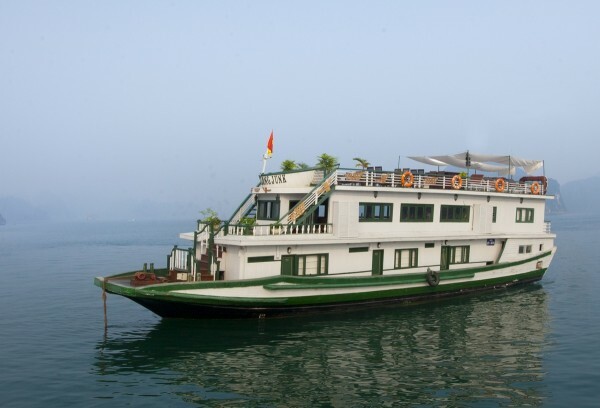 12h30: Boat cruises on Bai Tu Long bay, enjoy a welcoming drink and cruise briefing. 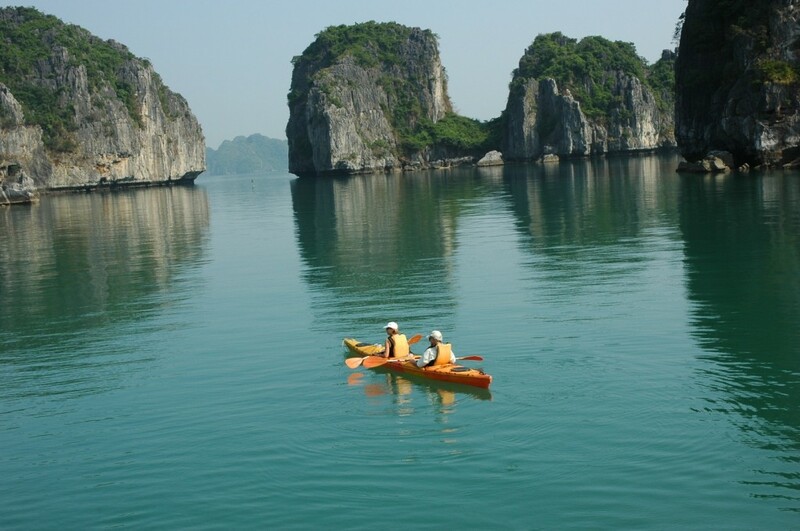 13h30: Have lunch while cruising; admire different fascinating rock formations in the bay. 15h30: Visit Vung Vieng floating village by small bamboo boat or kayak. 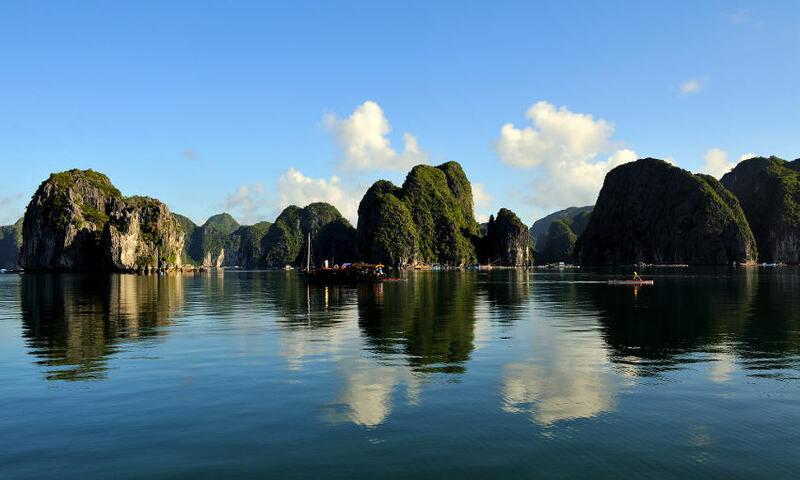 Discover villager’s daily life as well as tradition culture before you return to cruise for your leisure or join sunbathing, playing chess, taking photos…Our cruise continues to take you from Bai Tu Long bay area to Halong bay beautiful area. 17h00: Enjoy swimming in the crystal clear water. 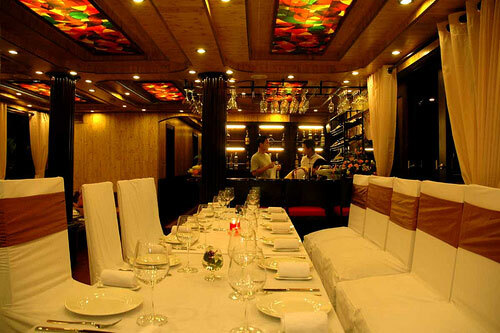 18h30: Join a cooking class on boat before Vietnamese style set dinner is served. 08h00: Transfer by tender to the Surprising Cave. 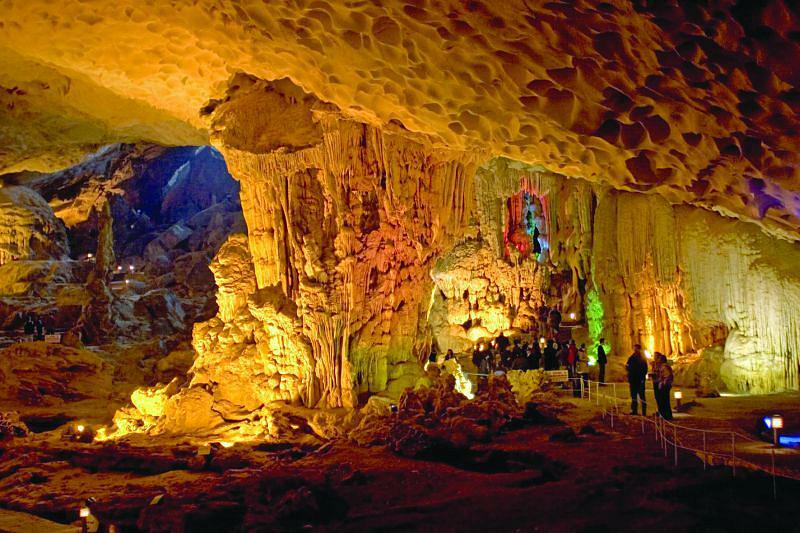 Our tour guide will take you to a huge cave with many interesting stalactites and stalagmites in different amazing shapes like elephant, Buddha statue, turtle…. After about 45 minutes visiting, you will go back to tender and return to the boat. 14h30: Stop-over in the middle to visit a handicraft workshop. 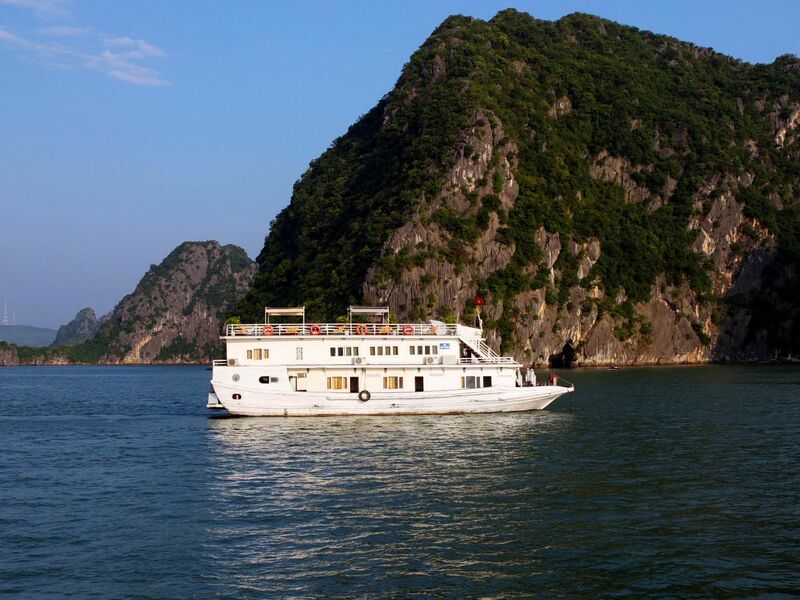 12h30: Get on Bai Tu Long junks, enjoy a welcoming drink and cruise briefing. 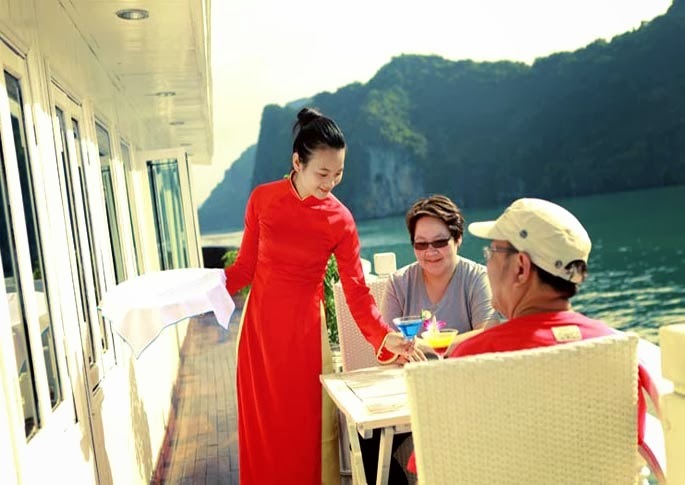 13h30: Have lunch while cruising in the magnificent Bai Tu Long Bay. 15h00: Enjoy swimming in the crystal clear water. 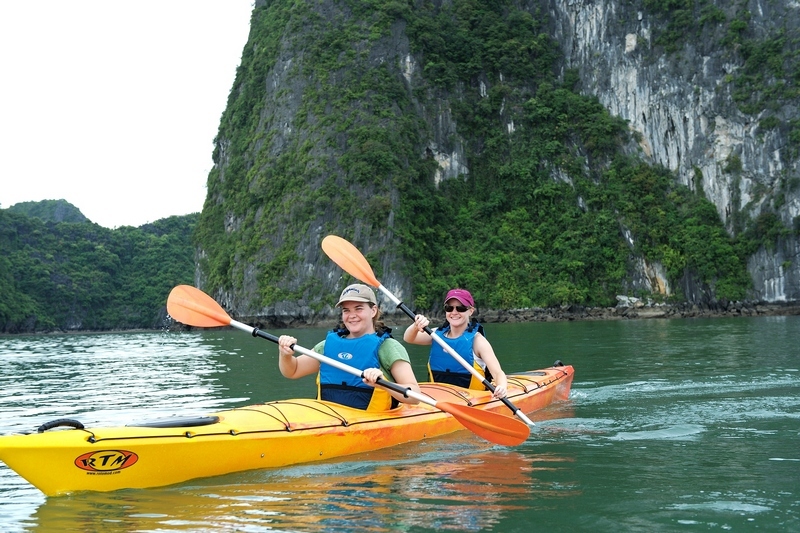 16h00: Visit the Vung Vieng floating fishing village by bamboo sampan for an hour or Kayak in to the village then return to Bai Tu Long junk, continue to take you from Bai Tu Long bay area to Halong bay beautiful area. Overnight on Bai Tu Long junk. 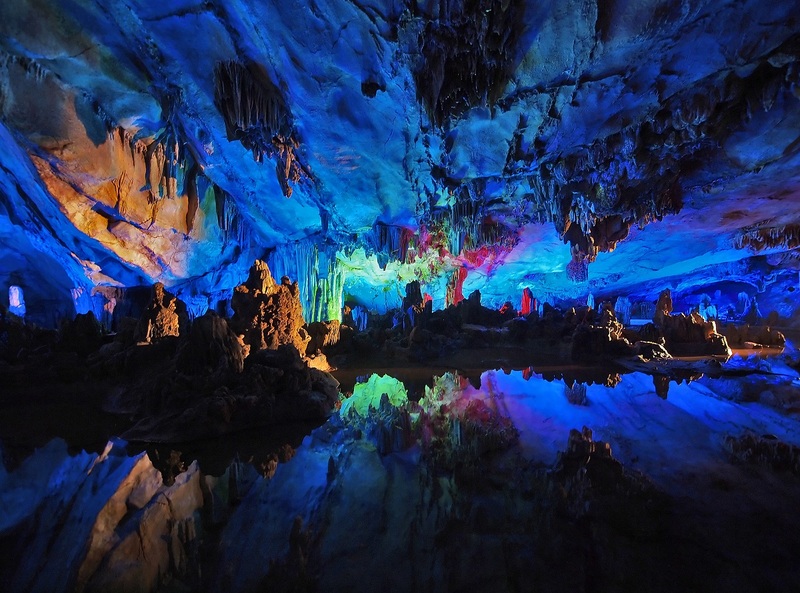 08:15 Transfer by tender to the Surprising Cave ( Sung Sot cave). After about 45 minutes visiting, you will go back to tender and return to the boat. 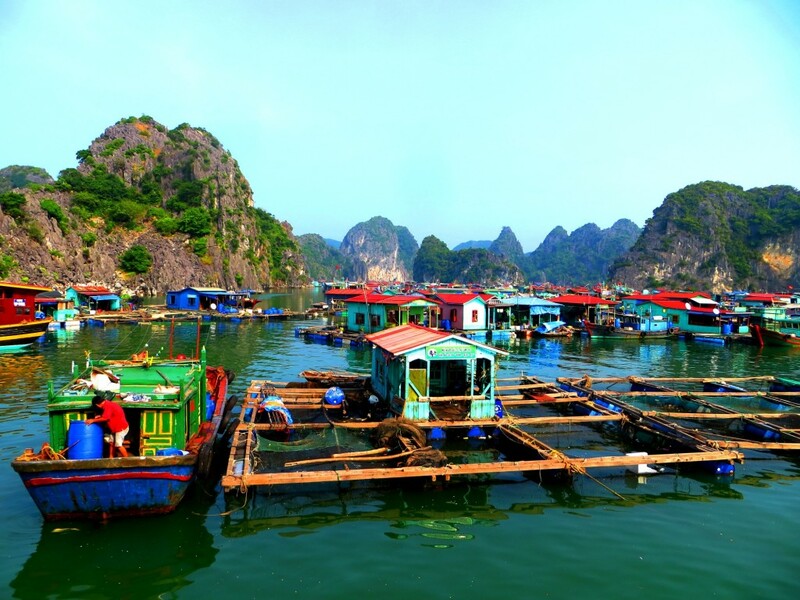 09h30: Get on another transfer boat to start your trip to go through Lan Ha bay to come to Viet Hai fishing village. You will go by bicycle to come to village, discover local people’s life. 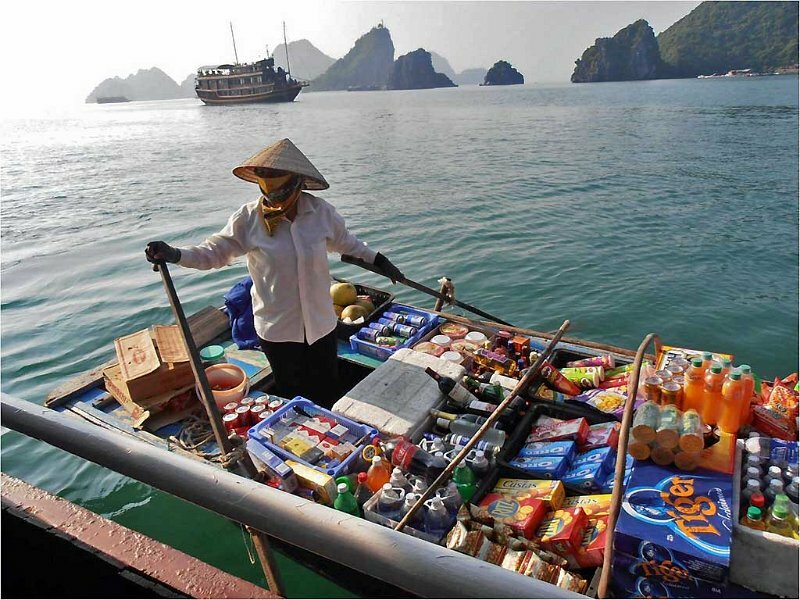 12h30: have lunch on boat at a silent and beautiful place in Lan Ha bay. 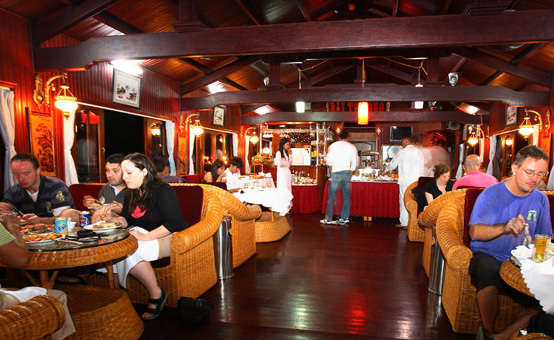 14h00: Arrive Monkey Island, check in your bungalow and have lunch in the bay view restaurant. 15h30: our tour guide take you to go hiking mountain to take photos of spectacular view of Lan Ha Bay, visit monkeys. 19h00: Have dinner ( often BBQ dinner). Enjoy your romantic evening with listening to soft music, play in house games or walk to the beach to lie on long chair, listen to the waves and see thousands of stars on the sky. Overnight at Monkey Island Resort. 08h00: Go by small boat to Cat Ba island. 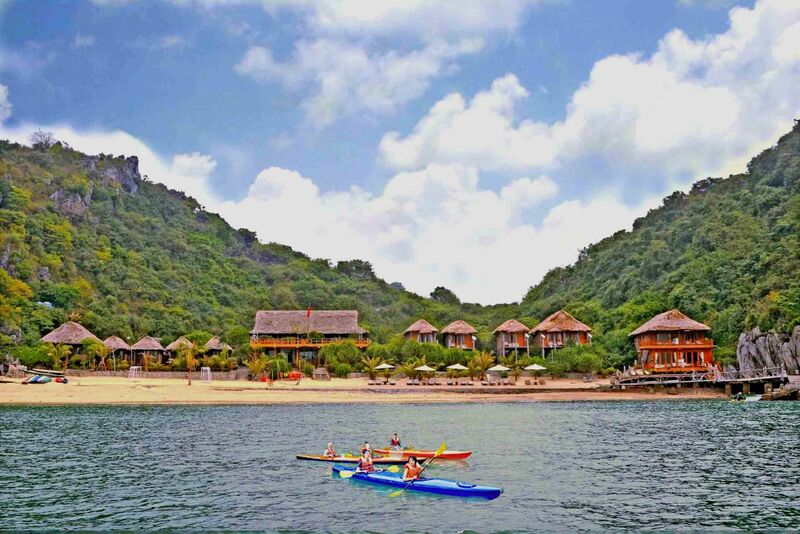 Bus takes you on a lovely road of Cat Ba national park to come to Gia Luan harbor. 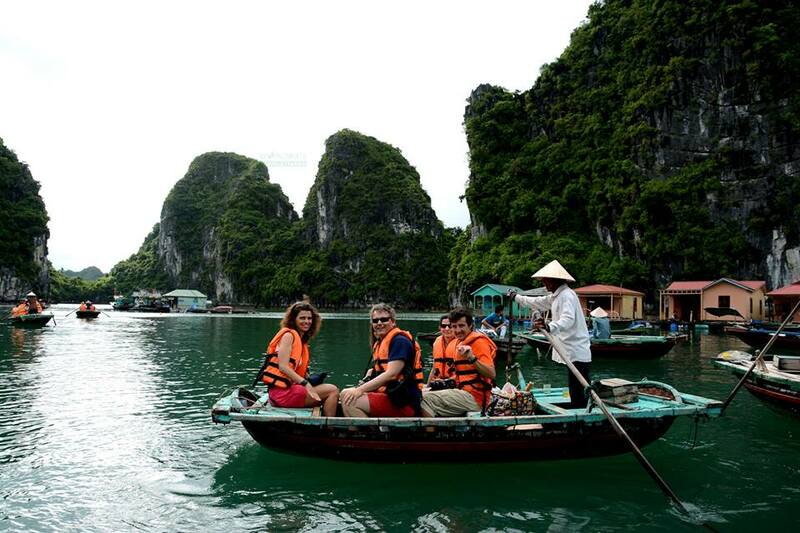 09h45: Get on boat ( normally Monkey Island Cruise) to cruise Ha Long Bay by different route. 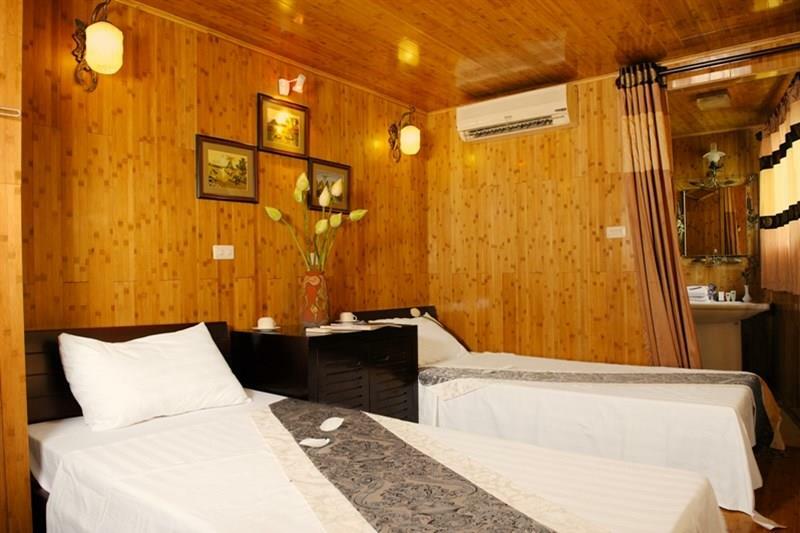 16h30: Arrive your hotel in Hanoi Old quarter. End of the trip.